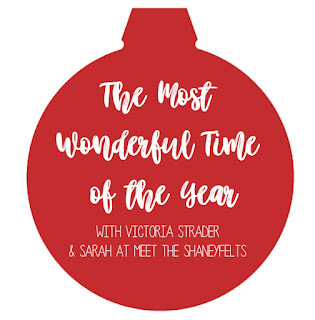 I'm excited to be joining The Most Wonderful Time of The Year link up this year with Victoria and Sarah! Today is day one, and I get to share my very own Christmas wishlist! Check back for more link up posts with them though out this week and next! Hand lettering 101: For awhile I have been thinking about hand lettering. This next year I think I'm finally going to dive in and give it my best attempt. TomBow Pens: Pastels because I love the colors, TomBow because they seem to be the most popular among my lettering friends. Adobe Photoshop 2018: One of my goals for the new year is two improve my photos on my blog. Pretty much everything I post is taken with my iPhone and edited on Instagram. Right now, thats about as fancy as it gets, but I desperately want to do better. Measuring cups: I have some plastic measuring cups that are just falling apart, all the measurements are rubbed off because I use them so much. I really want some like this that will last. DoTerra Starter Oil Kit: I have thought long and hard about it, and decided I want to use DoTerra instead of Young Living. I have been using the On Guard and making my own cleaning products for a few months now. I love that I'm not using harmful chemicals to clean any more, and want to work on switching everything and diffusing oils too! Norwex Dish Towels: If you haven't heard about these, look them up! I love them, and want some so badly! Also, I know dish towels on my Christmas wish list is kind of crazy. I'm obviously getting old and boring. Ha! It's been so much fun linking up with Victoria and Sarah today! Check back as I'll be linking up with them more throughout this week and next! I really want to try using essential oils; especially for trying to fall asleep! I could use more help with that. I'd love to get Photoshop at some point. It would be great to learn more about photo editing, etc. I would love to get into photoshop and figure that out! I am so not tech savvy! and the hand lettering is such a good idea! Hope you get it all! Thanks! I followed her on insta and I'll watch for it to come out!